Just like your average girly girl, I have a weakness for candles. And although I buy different ones all the time (thanks T.J. Maxx), the scent payoff is never as good as I want it to be. But then I lit a Flannel Candle Co. candle and all my dreams came true! 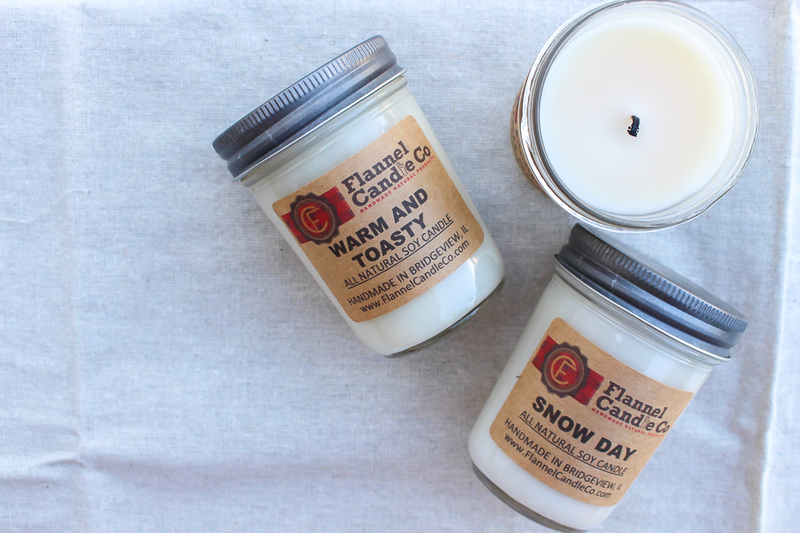 I first heard of this small business at a local holiday market where I picked up three Christmas scented candles that I had burning all season long. They're true to scent and make any room feel cozy. Scents that I recommend include Shiplap, Warm & Toasty and Sleigh Ride. They also sell soaps and bath products! Visit their website here. Hear me out: Once you try Mother Wilma's amazing marshmallow treats, you will want to adopt her as your own mother. Her marshmallow factory, AKA her adorably chic vintage camper, travels from place to place, including fairs, markets and even special events. 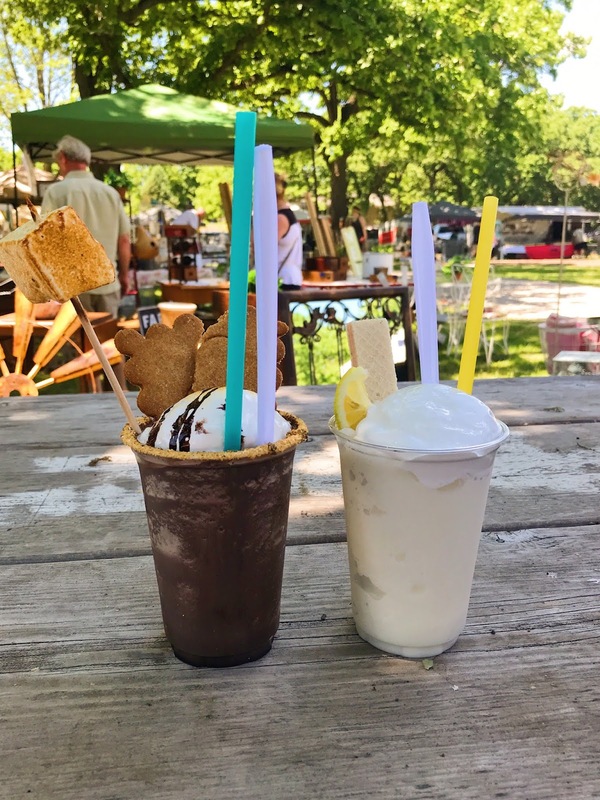 I've tried it all, from her ooey gooey s'mores to frozen hot chocolate and frozen lemonade. Did I mention she puts homemade marshmallow fluff on top of her drinks? YUM. You can find out where Mother Wilma will be making an appearance and where you can buy her marshmallows in Indiana and Illinois here. If you love boho style like I do, you will LOVE Crystal Ship Jewelry. 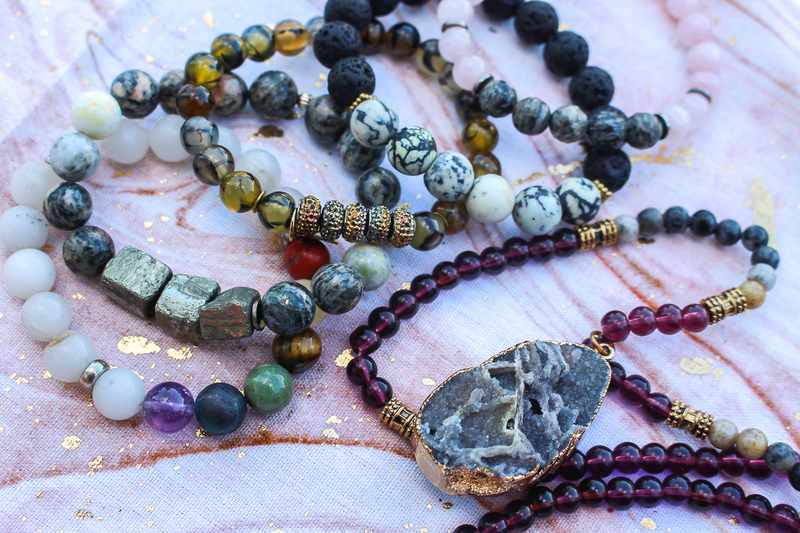 Shannon, the artist behind these pretty pieces, creates simple jewelry using genuine gemstones and different metals. She even does custom work! 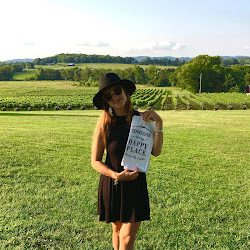 Not to mention she runs her whole business while being a mom of two; talk about a #girlboss! 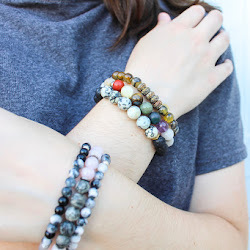 I especially love the beaded bracelets because you can stack them together to make your own unique set. I'm all about jewelry that is unique because I love when people compliment it! Crystal Ship's pieces are simplistic, yet bold and totally match my bohemian style. Check out the website to purchase some items for yourself, and you can also see which Illinois events Shannon will be selling at next. I've talked about Letty Mae's before in this post, but nonetheless, it is still my favorite place to go for lunch. 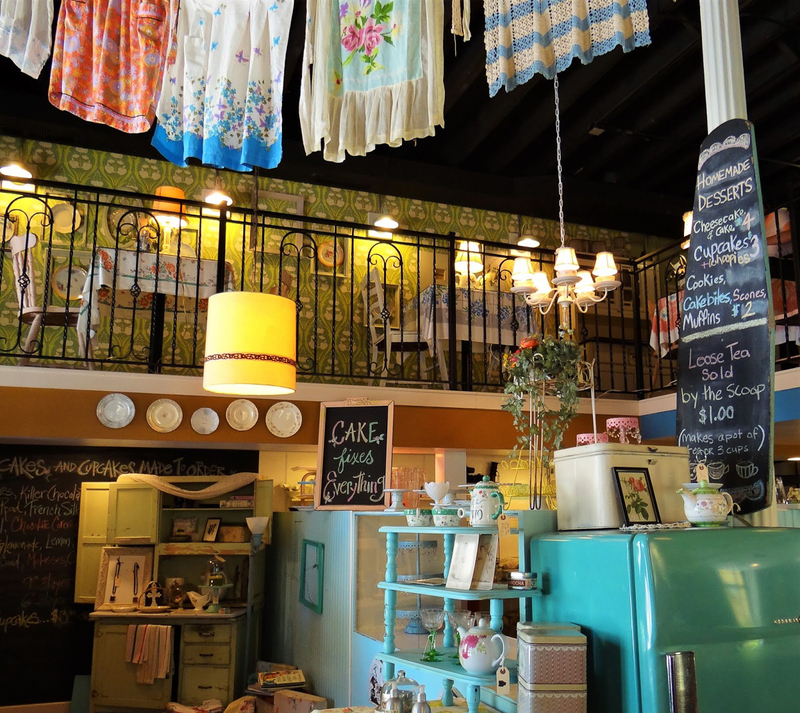 You will be amazed from the start by the charming shabby chic decor, including a patchwork couch, vintage kitchen appliances and the retro aprons hanging from the ceiling. Once you're seated, you can admire your personal vintage teacup and silverware wrapped in an old hankie. The menu is nice and simple for lunch and there is also a variety of specials each day which includes food like Reuben Sliders, Chicken, Cranberry and Pecan quiche, and Tomato Basil Tortellini soup. My personal menu favorite is the Newt's Cobb Salad sandwich paired with the Cold Strawberry soup. That's right- COLD. STRAWBERRY. SOUP. It's out of this world. If you have time after lunch and you're not STUFFED, enjoy a pot of tea and one of their fresh baked sweets. Read more on their Facebook page here. Unique soaps, bath bombs and face masks galore! 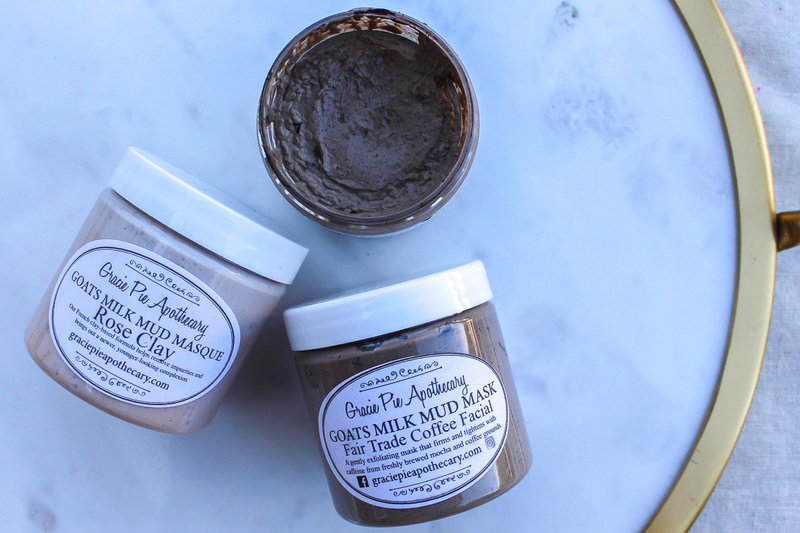 Gracie Pie Apothecary uses fresh goats milk to create a variety of bath and beauty products that smell AH.MAZE.ING. Take a wiff and be amazed by the Avocado Mint and Mango Margarita Soaps. They even have a Sinus Buster soap which is PERFECT if you have a cold. I love their mud masks; they have a Fair Trade Coffee Facial mask which is just like Lush's Cup o' Coffee mask. And the use of goats milk has TONS of benefits for your skin. I highly recommend checking out their items at a local market or fair. It's so fun to see all the products in person and pick out your favorite scents. To find out which markets Gracie Pie will be attending and more about their story, visit the website here. 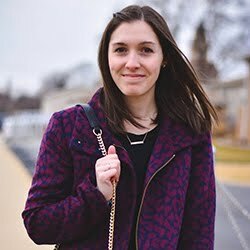 I've also talked about Our Home To Yours on the blog before in this post and it still reigns one of my all time favorite consignment shops! I've found some of the best stuff here, from brand new Nike running shoes for less than $20 and a Kate Spade Watch for less than $40. The awesome part about this store is that it combines clothing and accessories with home decor, so you get the best of both worlds! The clothing section is big enough, but not overwhelming. There's also always a variety of bags and shoes to look through, plus jewelry and makeup. After you pick out an outfit for a great deal, you can look for some unique decor. You never know what you'll find here and the hunt is the best part. View their Facebook page here. 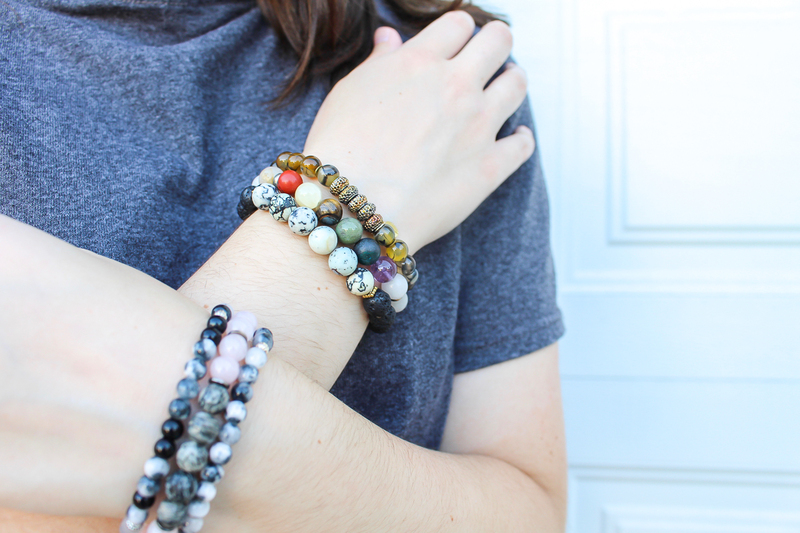 Sweet and Lovely is an Etsy shop with products designed by Kate Gabrielle. She creates lapel pins, shirts, patches and more items that are fun, funny and colorful. I think I stumbled upon one of her creations on Instagram before checking out her full shop. 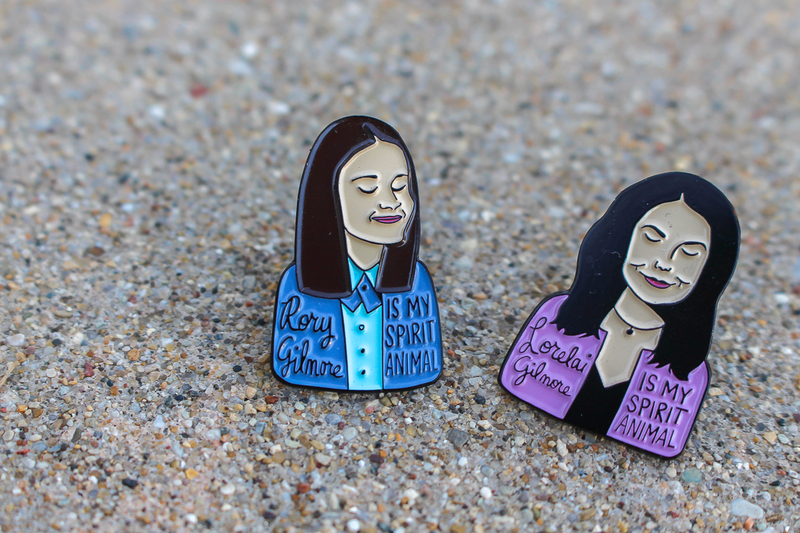 The pins are my personal favorite; there are quotes and movie/television characters- perfect for a girly nerd like me! I LOVE the Gilmore Girls set I have. Check out the rest of the Sweet and Lovely shop here. 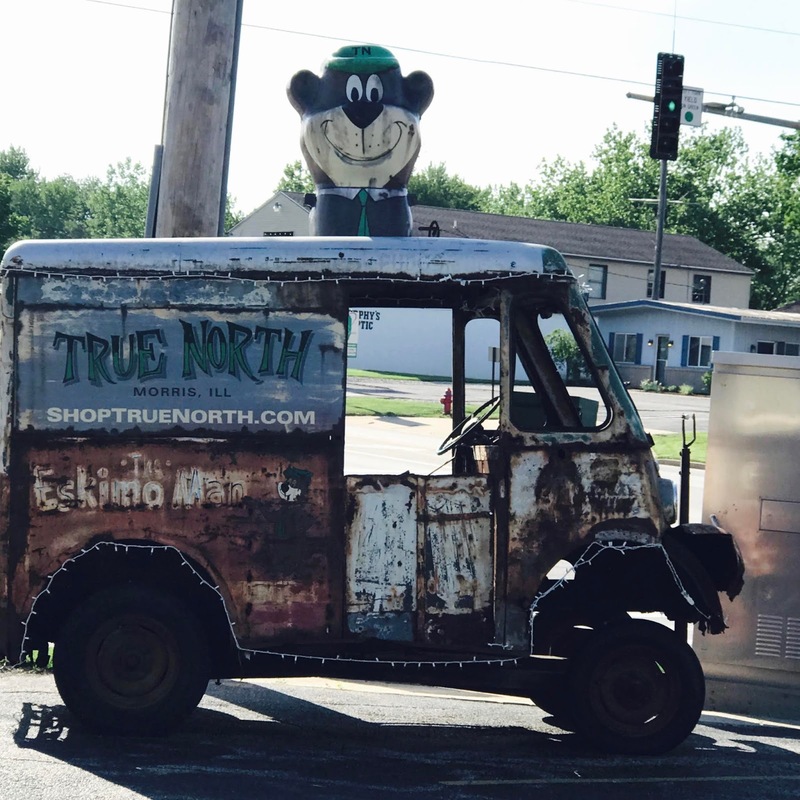 I've been in many different antique stores throughout my life, but nothing is quite like True North. 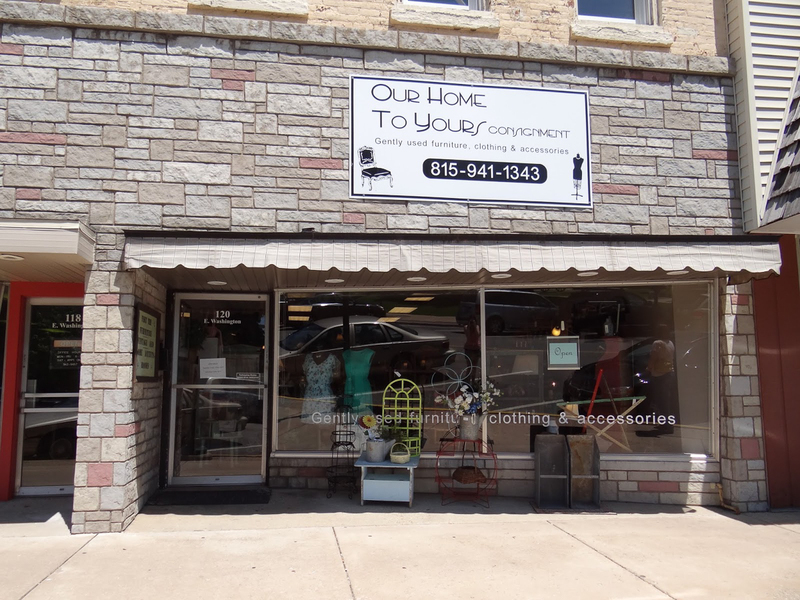 Nestled in a small warehouse building in Morris, Ill., True North has a variety of different vendors selling vintage items, antiques, homemades and truly a little bit of everything. You never know what unique item you will find next. The atmosphere in the building is just as cool as the fun junk inside. Retro music, a disco ball and even a swing- this is NOT your average antique store. Explore the TN crew here. Shopping small businesses brings me a lot of joy. As a small business owner myself, I know firsthand how much work it can be. I love supporting other makers, crafters and entrepreneurs because it helps their dreams come true. Plus I'm ALWAYS down for a super unique find! What small businesses do you support?